When prostate cancer cells spread beyond the original tumor in the prostate to various parts of the body the cancer has become metastatic. Nearly half of all patients who are diagnosed with prostate cancer will develop metastatic prostate cancer. It is an advanced form of cancer which can essentially metastasize anywhere in the body. Metastatic prostate cancer is caused by cancerous cells that have broken away from the tumor and then travel through the body through either the blood or the lymphatic system. Research has shown that nearly 80% of the cancerous cells will primarily travel to bones in the hips, pelvis and spine. While the cancer can spread to other parts of the body it will still be identified as prostate cancer. This is because the cancer originally developed within the prostate gland. Metastatic prostate cancer is incurable and a doctor can only treat and manage a patient’s symptoms. The doctor’s main goal is to slow the growth and minimize the spread of the cancer. Certain factors that your doctor will also take into account regarding your individual treatment are your age and current level of health. Provenge (Sipuleucel-T ): Is an autologous cell immunotherapy intended to stimulate the immune system of the patient to fight against their cancer. Provenge is made in several stages. Initially a patient’s blood is processed through a machine in a procedure known as leukapheresis. 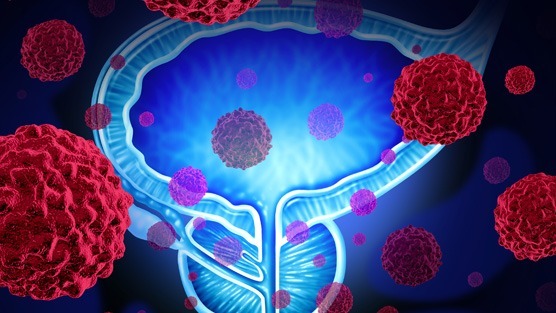 Immune cells are collected, exposed to a protein which are stimulated and directed against prostate cancer and intravenously returned to the patient’s body. PROVENGE is regulated intravenously in a three-dosage plan during two week periods. Every dosage goes through the leukapheresis procedure three days preceding each treatment. Zytiga (Abiraterone): Is a medication utilized in conjunction with prednisone in metastatic castration-resistant prostate cancer. Specifically, prostate cancer that hasn’t responded to either androgen deprivation or treatment with antiandrogens. Surgery (Orchiectomy): Is the surgical removal of the testicles to minimize the production of the male hormone Testosterone. Radiation Therapy: This treatment utilizes high-energy rays to kill cancer cells. It is also used to shrink cancerous tumors to aid in easing a patient’s symptoms. Metastatic prostate cancer can affect a patient’s chances of prostate cancer survival. It’s important to understand that survival statistics are merely numbers and that everyone’s cancer is unique to each patient. Life expectancies for men with metastatic prostate cancer continues to increase. Your doctor will help you to understand your unique prognosis and will also discuss your treatment options. With the ongoing research and continued advancement in treatment patients with metastatic prostate cancer can look forward to a better quality of life.